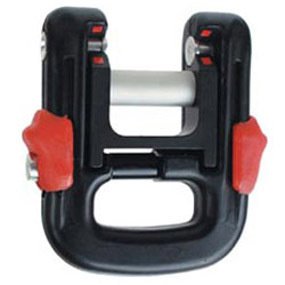 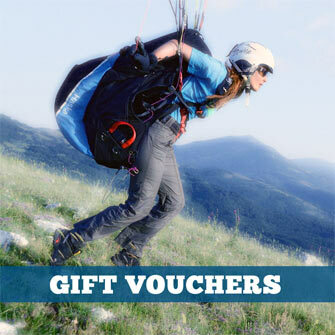 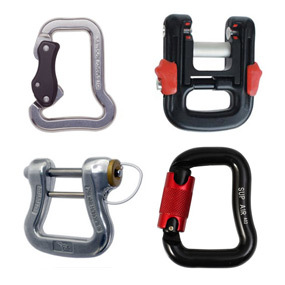 Karabiners. 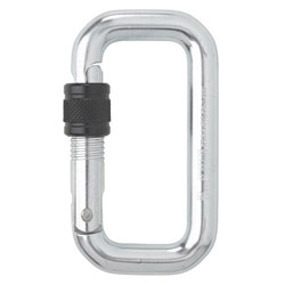 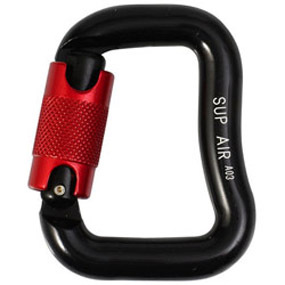 US spelling carabiners. 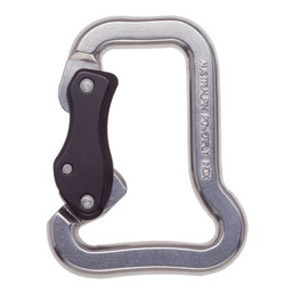 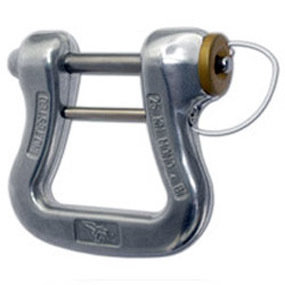 Karabiner is shortened from German Karabiner-haken 'spring hook'.